January 2018 – SuperClean, heavy-duty cleaning product manufacturer, recently announced its continued support of the Wild West Bass Trail (WWBT) for the 2018 season. The sponsorship covers both WWBT Pro/Am and team tournament events. SuperClean products include cleaner-degreasers in liquid, foaming, and aerosol sprays, as well as a heavy-duty wheel cleaners suitable for a wide variety of marine, automotive and household applications. New for 2018, SuperClean invites WWBT anglers to participate in its Super Bucks contingency program for the Lake Shasta Pro/Am. Anglers who purchase a minimum of $25 worth of products from a SuperClean dealer or at WWBT sanctioned events will be automatically entered into a drawing to win one of three $250 Super Bucks cash prizes offered at each Pro/Am tournament. Anglers wanting to learn more about SuperClean products can visit: www.superclean.com. Offering professional-level competition throughout the west, the Wild West Bass Trail provides its anglers with the opportunity to further develop and advance their fishing careers. Additionally, the WWBT offers its corporate partners the opportunity to expand sales through comprehensive national and regional television coverage, exclusive on-the-water demonstrations, and various tournament incentive programs. 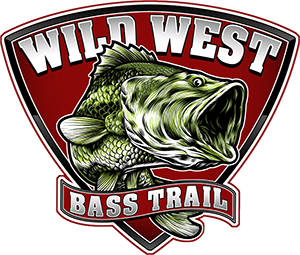 For more information on the circuit, tournament schedules, or registration, visit: www.wildwestbasstrail.com or contact 480-571-1919.